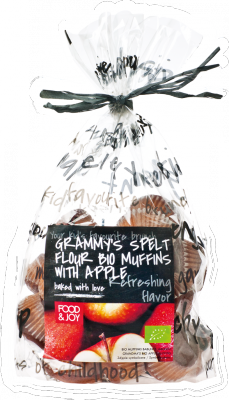 Food&Joy ecological muffins made with spelt flour, unrefined cane sugar, eggs, salt and vegetable fat. 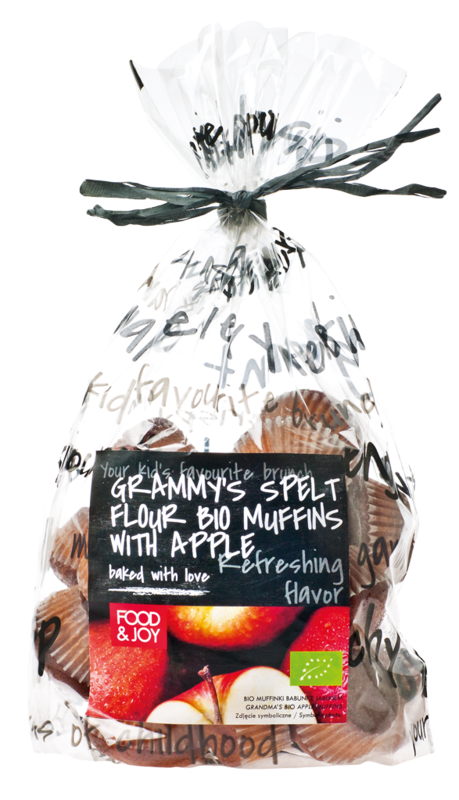 Small muffins with a delicate sweet taste containing an optimal amount of natural plant ingredients, such as fibre and protein. With apples.